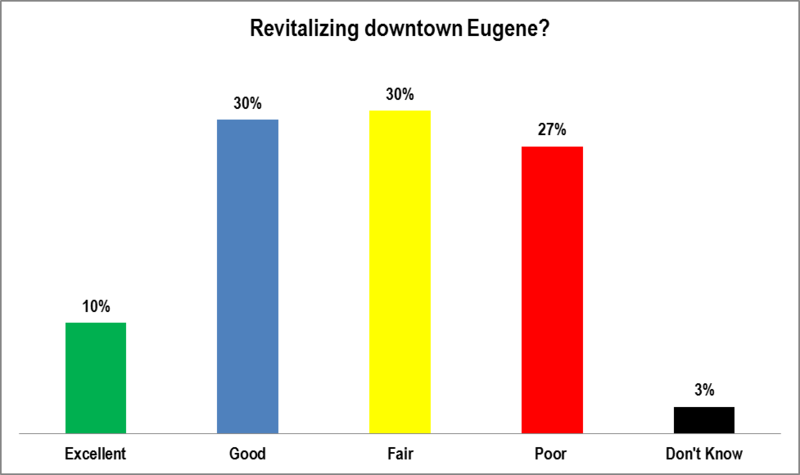 Mayor Piercy gets a decidedly fair rating. Party was the primary determinant of support. 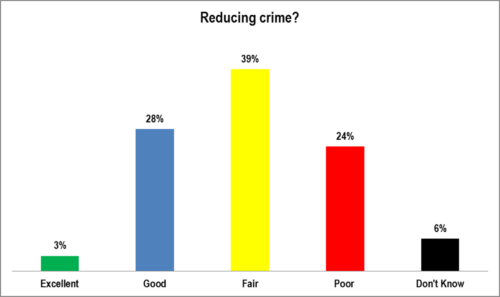 Age, income and gender were also important. 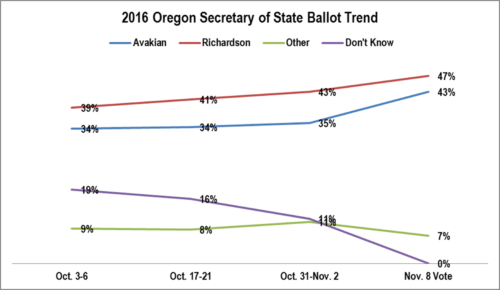 Interestingly, older Democrats were less supportive of Avakian. This issue is critical for any government. 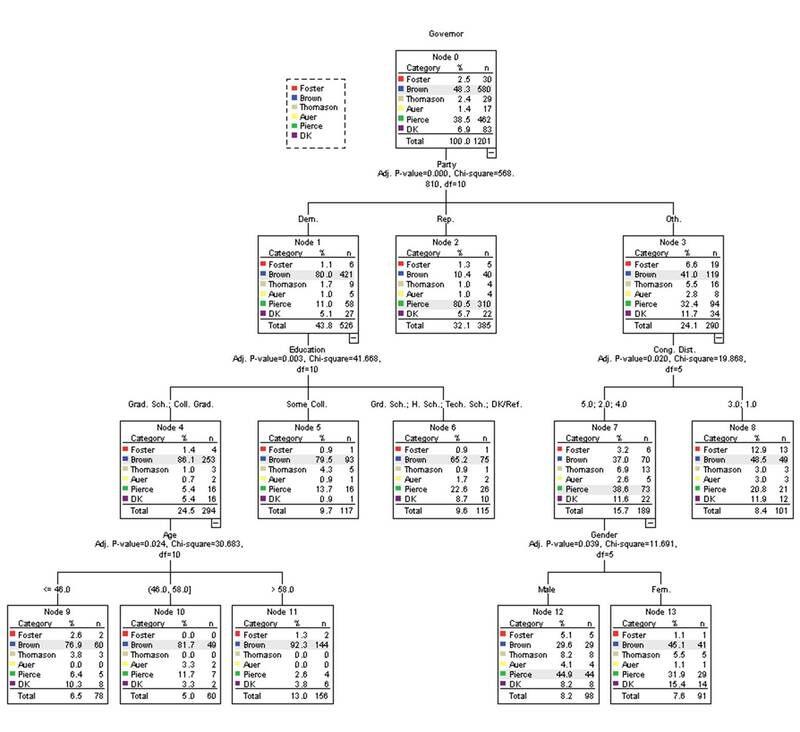 The poor rating at nearly a third is not a good result. 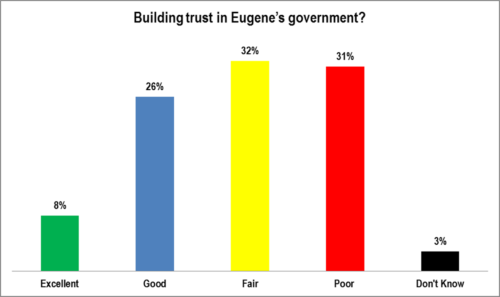 Building trust in Eugene’s government? 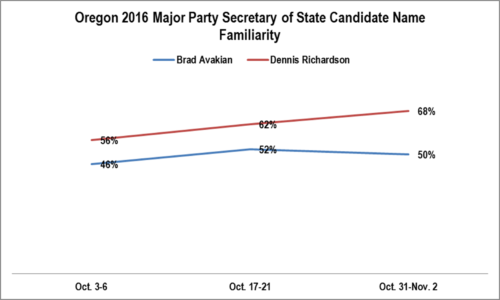 Richardson maintained a statistically significant name familiarity advantage throughout the campaign. This was probably a residual from his 2014 gubernatorial bid. This is also probably a big reason for his victory. This was THE issue during Mayor Piercy’s 2008 re-election campaign. The recurring road repair measures have become a Piercy trademark. 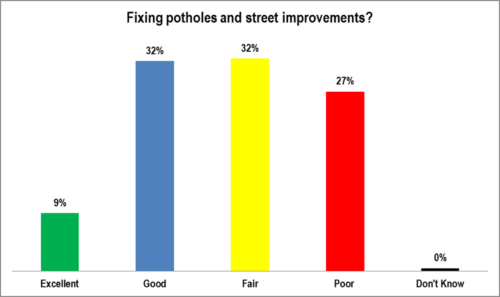 Fixing potholes and street improvements? 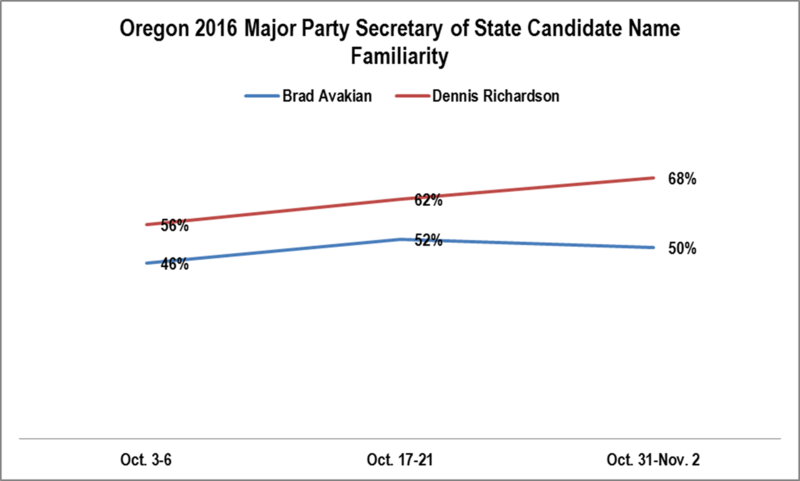 Richardson maintained a narrow lead throughout the campaign. 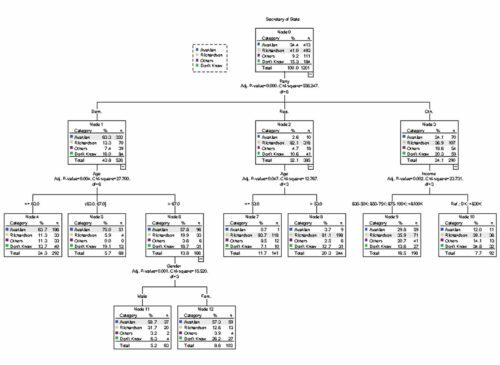 Party was the primary determinant of voting. 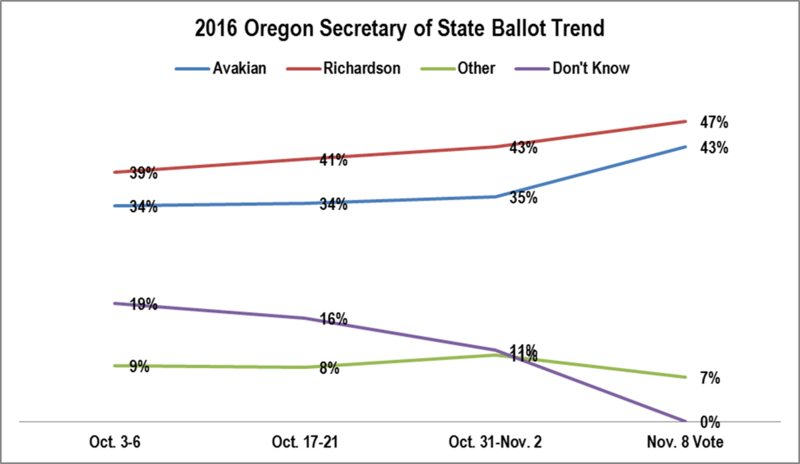 Interestingly, Kate Brown did better among Democrats as their education increased.